Looks like you do great in the water there Duncan!! Surfs up!!! Duncan you sure are having fun. Off to the next instalment of water mania. Splish, splash, splosh. Have a super Saturday. Wows! 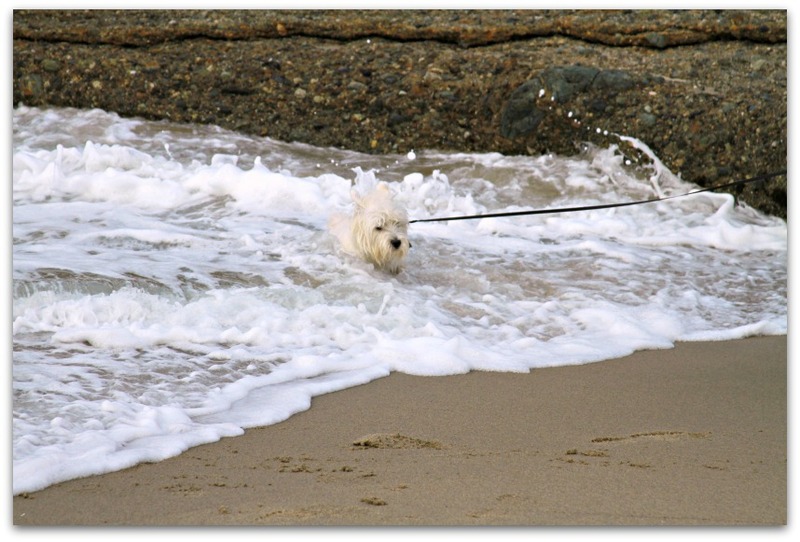 Looks like your havin' a PAWSOME time there in the surf Duncan!! Hang 20 dude! OH YES... SURF is definitely pUP.. hehehe You are right Water Mania is a BLAST... of Cool Water. We've just been to Sarge's. We're not sure we'd like that aggressive water you're in. We like water that we can get in on our terms! We gotta all go swimming together! Rather you than me pal. what a sweet picture, we are not going into the water, at least none of us but Bob our bulldog brother and he sinks like a stone.